As from today, you live in retrograde Mercury’s era. For the whole of March, some parts of your life need extra attention. So please don’t make very important decisions, and if you can please try to avoid all long-distance travels as unexpected ‘turbulence’ might occur. In fact, if you do travel, you may experience weird phenomena or come across peculiar people who will definitely increase your anxiety. Either way, it will be a very interesting lesson. Your Tarot Card of the Day can reveal so much more. Check it here for free. Welcome to a surprisingly interesting month for you dear Leo. During the next days, you will have the chance – if you didn’t have it already – to work with things that can give or take the life away from you. I’m talking about things that happen inside of you where all the power comes from. Instincts have been awakened and power strives to flow inside you due to all this retrograde mess. Shared money with collaborations and heritage also needs attention. Need more convincing? Your Tarot Card of the Day can reveal so much more. Check it here for free. Mercury’s Retrograde move is rarely a good time for you Virgo. Your Governor’s backward move will slow down your plans and the speed of your dreams. However, this can also bring some very interesting advances. For starters, peculiar relationships may begin helping you understand the bigger picture of your life. Also, it’s a great time to see more about those legal issues that might be troubling you the past months. Your Tarot Card of the Day can reveal so much more. Check it here for free. This retrograde Mercury is helping you to focus more on what really matters and that’s definitely your health and your vitality. So for the next month please try to think of a clever way to raise your vital energy by changing your lifestyle. First things first. Pay attention to your nutrition and avoid habits that drain your energy. Moreover, change the way you interact with others around you and try cutting off relationships with people who have a toxic effect on you and your life. Your Tarot Card of the Day can reveal so much more. Check it here for free. This Retrograde Mercury is not that bad for you Scorpio. He is actually in that area of your life related to everything that makes your heart beat faster. Therefore, make sure to think again about everything that brings your joy (including your children, flirting, anything that makes you smile). It feels that you might have not understood the whole picture and illusions may become traps! To help you more, you can try Your Daily Tarot Card. 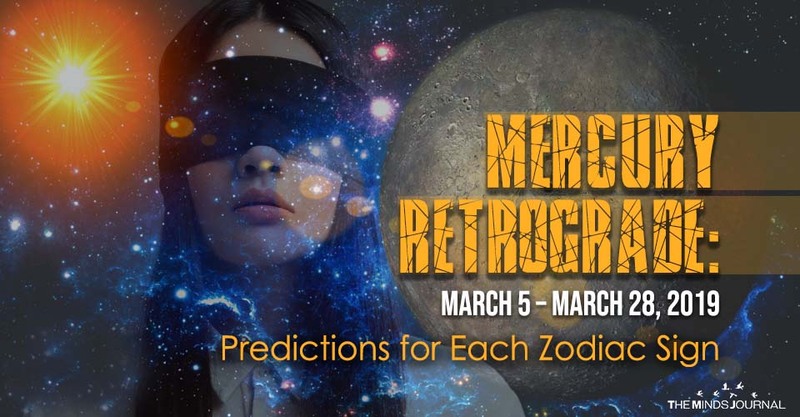 Retrograde Mercury is here and has already started affecting you. For starters, your family and your home need extra attention during March as things that you may have neglected can haunt you. Love is the key and can always help you change an unpleasant situation. Furthermore, Mercury’s backward move may slow down your plans but that’s only temporary. Finally, you need to understand that finding quality time for yourself is needed because you need that in order to refuel your dreams and passions all over again. Avoid burn-out syndrome! Well, your Tarot Card of the Day can reveal so much more. Check it here for free.